Today, Poulin enjoys building trusted relationships with Wescott Financial Advisory Group’s clients, who include high-net-worth individuals, families, trusts, foundations, pension plans and institutions. In the Miami market, about 35 percent of the firm’s clients are attorneys. Factors to consider when choosing a financial advisor include asking for client references, particularly a current client with similar goals as your own. “When speaking with the reference, ask how often the advisor communicates with them, how often do they evaluate their goals and how would they characterize their relationship with the advisor,” he says. Since wealth management decisions can be complex, Poulin recommends working with a professional team – including an accountant, attorney and wealth advisor – to coordinate services, particularly when creating estate and tax planning documents. At that time, the assets should be retitled appropriately for the new established entities. It’s also important to have beneficiary designations on qualified retirement plans and IRAs be current and consistent with estate planning documents, he adds. Poulin also suggests reviewing estate planning documents annually with the financial team. “Create an agenda and action plan with distinct and deliverable dates for accomplishment, including those responsibilities that fall on the client’s shoulders,” he says. 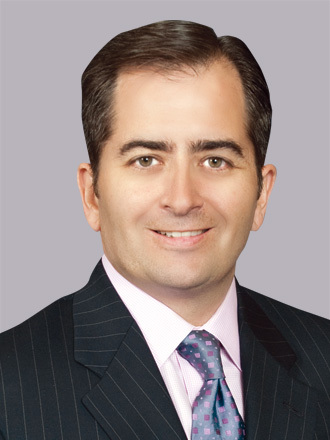 Scott Poulin is managing director, client development for Wescott Financial Advisory Group in Miami. Prior to joining Wescott, he had more than 20 years of trust and investment experience working with such organizations as SunTrust, NationsBank, BankBoston, Gibraltar Private Bank & Trust and Coconut Grove Bank.